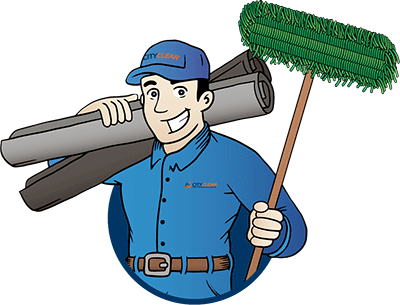 Home | Blog | Why Hire An Office Cleaning Service? As businesses grow and change, owners often come to the realization that hiring a professional office cleaning service may help them better manage the health and safety of their business. 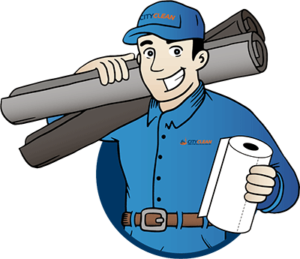 Analyzing the cost benefits of having professionals manage the cleanliness of your space (think bathrooms right through to commercial entrance mats), usually becomes part of the conversation when it is clear that handling it internally is now costly, unmanageable and unproductive. Having neat and clean office mats, counters and windows can improve your businesses success. The benefits of hiring professionals to handle some of the cleaning related tasks really can offset the cost and help you continue to build your business. Professional cleaners are trained to use proper sanitation practices that keep your office spaces clean and germ free. High traffic areas like commercial entrance mats, bathrooms and reception areas require frequent and high level cleaning in order to reduce germs and bacteria that can cause sickness. A better cleaning process can reduce the number of sick days people take from sharing office germs. Having your facilities and work stations properly cleaned can also keep things in good condition and reduce accidents from things like office mats, sinks, tables or work stations. A clean office will deliver the impression to visitors and employees that you care about them and about your business. Creating an orderly space feels welcoming and can have an impact on your business’s reputation. When you work hard to create a professional space consistent with your brand, you don’t want dust and dirt to undermine your efforts. Choosing a reputable partner to help keep your office space clean will give you the peace of mind that your business will always look its best. Trying to rely on your employees to take care of cleaning the office is unproductive and has a negative effect on employee morale. When you work with a professional cleaning company, you can be sure that your bathroom facilities will be clean and stocked with the necessary supplies, that the mats for your office building will not be covered in dirt, and that your office garbage and recycling receptacles aren’t overflowing and foul smelling. Your business specializes in what you do best, and it most likely isn’t cleaning! Taking on tasks that are not aligned with your products and brands just takes time away that you could be using to make sales and further your brand. How much is your time worth? Do you really want to spend it laundering your own office mats? When you attempt to take on tasks in a half-hearted way, it usually results in extra money spent due to lack of knowledge or planning and is most likely not saving you money after all. You can’t be expected to handle all aspects of your business on your own, so bringing in the right cleaning partner that can meet your needs will allow you stay focused on the right priorities. When the time comes to hire a professional cleaning service to help your business, be specific with what your needs are and outline your expectations. 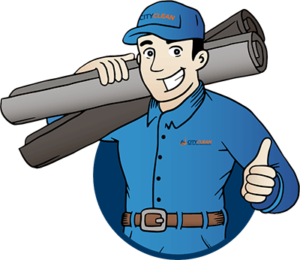 City Clean has been helping companies manage their cleaning needs by providing mat rental and facility supply services to the Greater Toronto Area for more than 40 years. We always welcome new customers to contact us for a free consultation so that we can better understand their needs and offer the right solution. Call us today at 1-877-649-7747 and find out more about how we can help keep your business safe and clean.